Chickadee lands to fetch a nut by the lake then flies away with it. 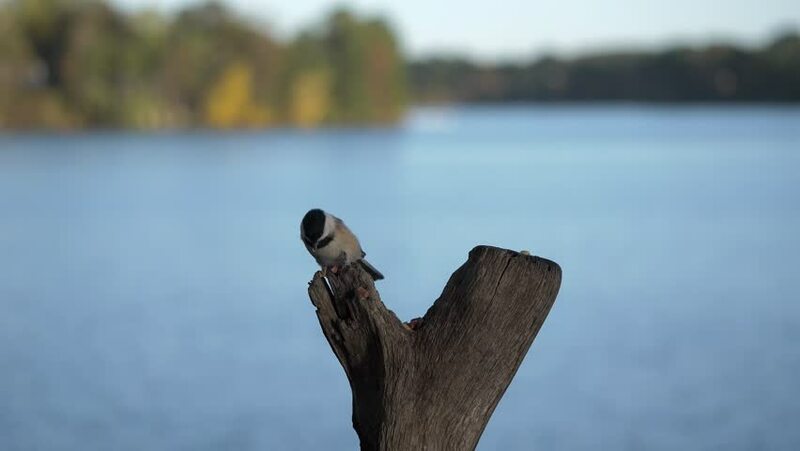 hd00:38Black capped chickadee pecks at a nut by the lake in the fall. hd00:39Woodpecker takes a nut then flies away.